NBrynn Designs $20 Shop Credit Giveaway! Happy Wednesday! Today we’re sharing a fun giveaway just in time for Easter Sunday and bright Spring clothes! NBrynn Designs is here today showcasing some gorgeous kids bowties and accessories, as well as giving away a $20 shop credit!!! She sent me some bowties to try out for my son and he looked SO cute in them! 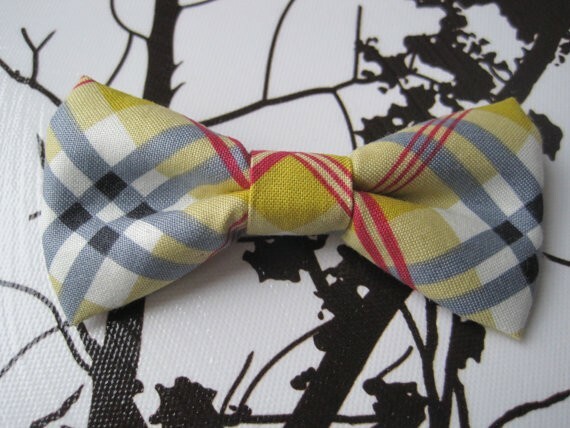 I’m totally in love with this plaid bowtie. This one is a clip on and my son loved it. 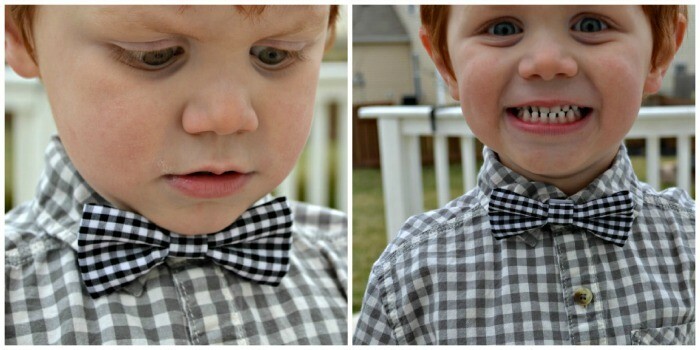 His exact words after seeing his photos were,”Aww…I so cute!” HERE the listing to the plaid bowtie seen above. 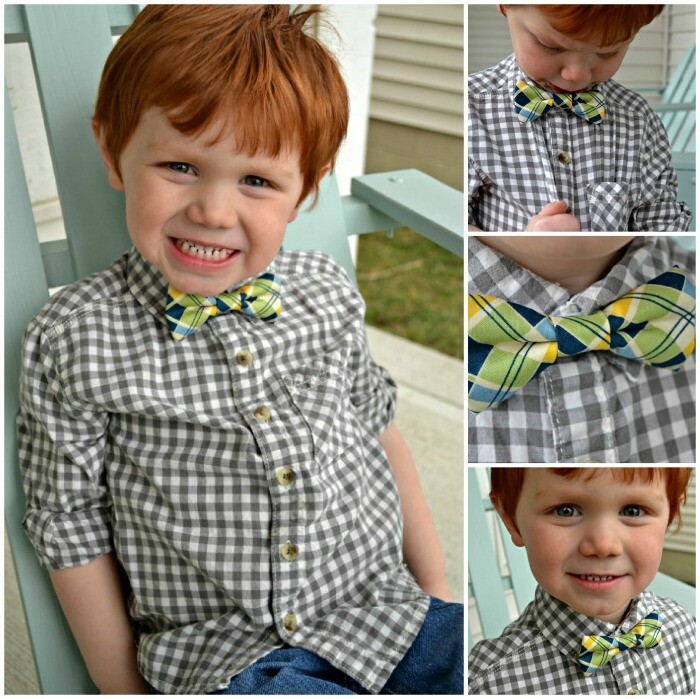 Here’s this fun black gingham bowtie that she also sent…I love how versatile these ties are and for a three year old to wear it and not be bothered by it is quite a feat! He’s actually still wearing this bowtie now, two hours later. He didn’t want to take it off! Seriously! HERE is the listing to the black bowtie shown above! Here are some of my other favorites from her shop! Want to enter to win a $20 shop credit to NBrynn Designs?! Get your little ones something cute to wear for Easter Sunday? Enter below using Rafflecopter for your chance to win! Contest runs from March 13th-March 20th. Winner must reside within the U.S.. Winner will be notified via email and has 48 hours to respond before a new winner is chosen! Enjoy! OMG – I am in love with those cute little bow ties. I would pick 3 and just pay the extra money. The three I would get would be the red/aqua/yellow plaid, aqua seersucker and solid aqua. My baby boy has the prettiest blue eyes so I’m hoping that the blue will bring them out even more. That or I’ll focus on green patterns instead of aqua. I’d have to pick one or two of the plaid bow ties for my little man! 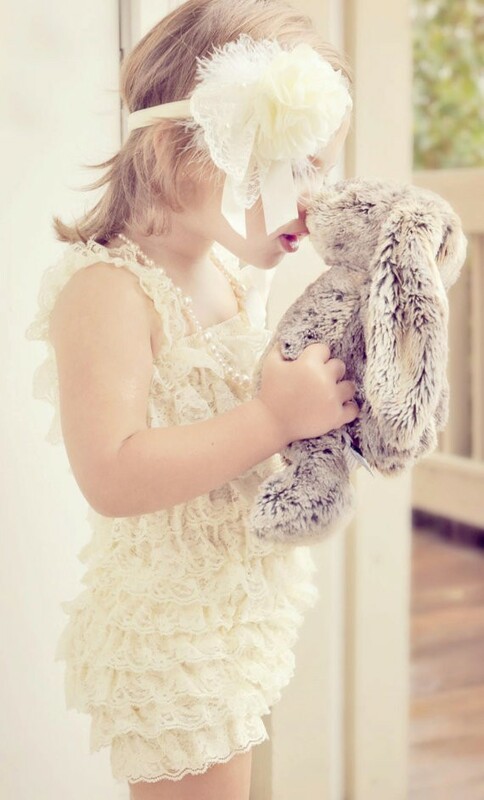 I love the Ivory lace, pearls, ribbon and feathers headband! Too cute! Love those little rompers!